Can it turn Samsung's smartphone business around? This is Samsung’s defining moment, where it makes amends for the hit and miss that was the Galaxy S5. This is the smartphone the company hopes will help it reclaim market share and growth in sales. This is the smartphone it hopes customers will happily rely on everyday. This is the smartphone we have long asked for, and it is as good as we imagined. Samsung has used plastic in its smartphones from the first generation Samsung Galaxy S. Plastic has been one of the company’s long time habits. The Galaxy S6 is the dawn of new habits. Though the design remains identifiably Samsung, the materials sourced for its construction and the manufacturing techniques used differ drastically. The smartphone is built upon a metal chassis, specifically the kind of aluminium used in the construction of cars, yachts and mountain bikes. Forging it takes 20 steps, with bespoke details including independent volume- and power-buttons, and a laser drilled stereo grille. A nano-SIM tray sits flush on its left, while a lonely IR receiver rests inconspicuously up top. Metal is a problematic material in smartphones because it can affect reception quality. Samsung overcame this obstacle by welding the antenna directly to the metal frame using a technique called ultrasonic welding. It works by using high-frequency sound waves and pressure to bond materials together. The sides of the frame have edges that are slightly chamfered. Fingers appreciate this design trait most as the front subtly folds into the sides, which gently wrap over into the back. Cold glass coats the front and the back of this Galaxy. It is the latest Gorilla Glass 4 from the professionals at Corning, and its edges too have been shaved down so that the smartphone sits more comfortably in the hand. Samsung coins the colour of our review unit “Black Sapphire”, though the actual colour depends on the way the light falls. It will go from deep black to soft blue, and all the hues in between. Multiple nano-coatings have been applied to the front and the back of the smartphone in order to achieve this dynamic effect. Other signs hint at progress. 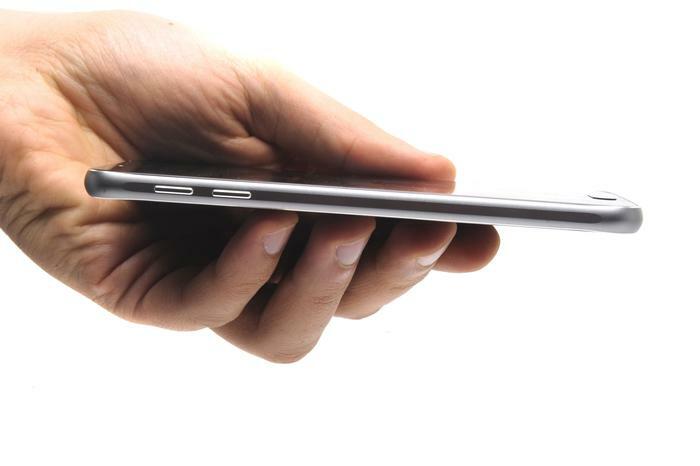 This smartphone has the same sized screen as its predecessor, and yet it is thinner, narrower and lighter. It is smaller and it is more powerful. All the screen specs represent a leap forward. The 5.1-inch Super-AMOLED panel has a high resolution at 1440x2560 and a market leading pixel density at 577 pixels-per-inch. These numbers translate to a viewing experience that is exceedingly sharp, revelatory of the detail in photos and videos, enough so that the sand littering beach stones can be discerned. The Super-AMOLED panel is versed in vibrant colours and deep blacks. You could hold the smartphone side on and still be able to tell what’s on the screen; viewing angles are that wide. Displays consume the most power and the demands only increase with higher screen resolutions. 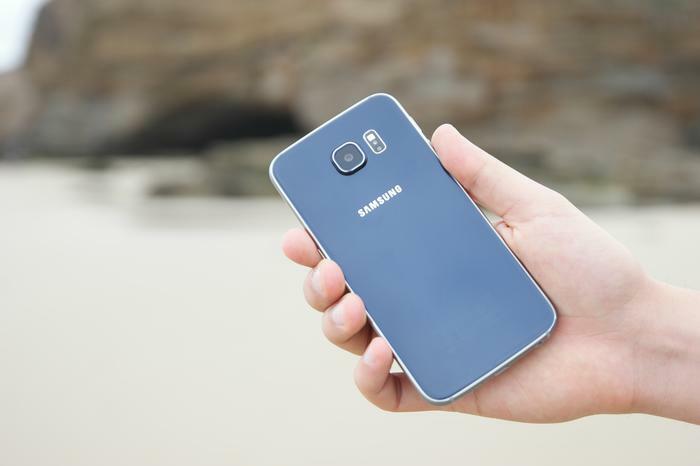 The battery conscious will activate the ‘power saver’ mode on the Galaxy S6. Doing so causes the smartphone to lower the screen’s brightness, often to levels that deem the vivid display dull. Not using the battery saving mode is one way around this gripe, or it can be used when needed and deactivated when not. Credit goes to Samsung for balancing the performance of the smartphone with the longevity of its battery life. In a move recognised as controversial by readers, the South Korean manufacturer followed in the footsteps of Apple, HTC and Sony in choosing to integrate the battery in its smartphone. This means the battery can not be swapped out for that ‘new phone’ feeling when the time comes to pass it on. The capacity of the battery is 2550 milliamps-hour (mAh) and that’s smaller than the 2800mAh battery found in the year old Galaxy S5. 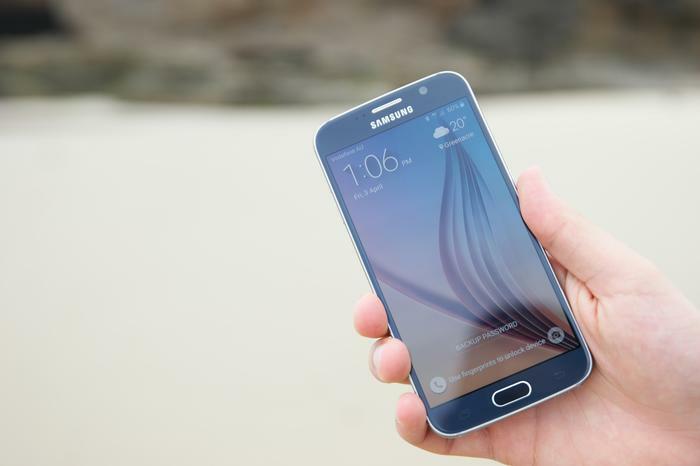 To recount: the Galaxy S6 has a thirstier screen and a smaller battery.